We are a leading Manufacturer of custom holographic hot foil, custom hot stamping foil for garment industries, custom hot stamping foil for glass bottle, custom hot stamping foil for packaging, industrial hot stamping foil and custom hot stamping foil from Mumbai, India. 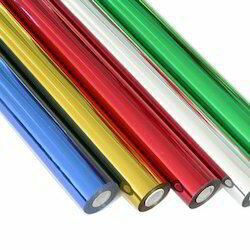 The exclusive range of Custom Holographic Hot Foil for PP/Pet & Thermoware is available in the wide variety as per the demand of the customer. These are available in different shades to meet the demand of the customer. Apart from this, it can be customized according to meet the perfect need of the customer. The sample of this product is available on the request of the customer. The different varietal colors, shades, and exquisite designs are the main features of this product. Since the inception of our firm in this domain, we are offering a wide array of Custom Hot Stamping Foil for Garment Industries. The offered foils are tested before final delivery on various parameters to guarantee its quality. 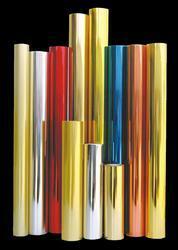 These foils are accessible in various colors and sizes to meet the differed needs of our clients. Apart from this, our offered foil is easy to use and offered at very affordable and cost effectiveness. Owing to the knowledge of this domain, we are offering to our patrons a broad spectrum of Custom Hot Stamping Foil for Glass Bottle. 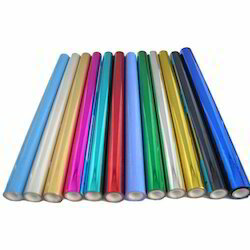 Ideal for the glass bottle, the offered foil is available in various colors, sizes, and many customized stipulations. These stamping foils are made by utilizing unmatched quality raw materials and progressive techniques under the direction of our professionals in accordance with pre-defined quality guidelines and norms. We are a trusted organization of this domain in offering a wide gamut of Custom Hot Stamping Foil for Packaging to our valued customers. Our offered stamping foil has very attractive features like the very high gloss, easy release, fine definition, excellent adhesion to all plastic materials and processable with silicon or metal dies. In addition to this, these foils that we offer have high strength and long service life. 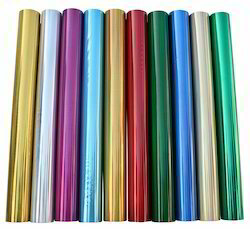 We are the manufacturer and supplier of the Industrial Hot Stamping Foil. 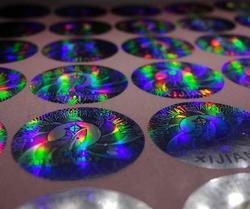 With the constant support of experienced professionals, we are offering optimum quality Custom Hot Stamping Foil. Owing to its high quality, and longer life, these foils are highly demanded in food beverages, personal care, household care, laundry, stationary, disposable containers & pail market. 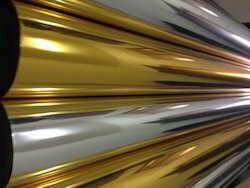 For manufacturing this foil, we make use of latest machinery. Looking for Custom Hot Stamping Foil ?